by Terry Thompson. His wife died of breast cancer, his eldest brother died of lung cancer and another brother died of a rare cancer that attacked his heart. Thompson is a retired colonel in the US Air Force. He was also a staff pastor of a large church. Later he became the GM of a nationally syndicated outdoor sports TV program. He is professor of John Brown University, a private, Christian liberal arts college in Arkansas, USA. The best way I know to describe the debilitating nature of chemotherapy is to reference my personal experiences. The following account of the three years my former wife (Connie) suffered under the oppression of aggressive chemotherapy. The treatment and its impact on our lives were the worse experiences I had faced in my life at that point. Today, I can assure that its devastating effect was eclipsed only by Connie’s death. And. of course, my experience was nothing compared to what she had to deal with. Immediately after receiving the first infusion, Connie became nauseated… it usually takes days or weeks before the dosage and anti-nausea supplements can be adjusted to individual tolerance and need. The vomiting and diarrhea were devastating for the first several treatments. She was confined to the beds for days. Hardly anything she ate would stay with her. She continued to have occasional regressive bouts with nausea. When the nausea was in check, lack of appetite still plagued the pursuit of healthy nutrition. Connie had to force herself to eat without any feeling of hunger. The food she was able to eat was virtually tasteless. Imagine weeks and months looking on any food item with disgust … the smell of food from another room would cause her to gag or vomit. Meals were never a pleasurable experience as long as chemicals were being infused. After several treatments, mouth sores, a common side effect of chemotherapy, made eating a painful experience. Connie had been an athletic person with seemingly boundless energy. Throughout the chemo regimen, she was constantly tired. After the lightest task, she would have to lie down on the couch or recline in a chair for a while before attempting anything else. Social activities virtually ceased, since a few minutes of standing and small talk would exhaust her… just physically drained from the chemical attack on her body. From the beginning of treatment, a weak immune system caused by a low white blood count often kept her from being near other people. 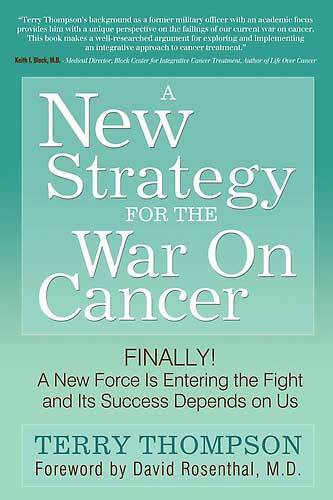 The cumulative effect of the chemo began to more severely restrict the immune system. Collateral damage to the body is another serious concern. Many medical procedures are accompanied by risks of injury to otherwise healthy parts of the body. In Connie’s case, the highly qualified surgeon punctured her lung in the process of “chemo” port insertion. This is a rare occurrence, but just one of several anomalies that can violate the body during conventional treatment. Another ever-looming threat of collateral misfortune is that of serious, even deadly, infection. The actual condition that caused the precipitous slide that ended Connie’s life was a bacterial infection so potent that the strongest antibiotics could not faze it. She developed septic condition. Even though the official cause of her death was metastasis of breast cancer, it was an infection, probably from the treatment, that led to the ultimate loss of the battle. For anyone, especially those who love to be around people, conventional cancer treatment is usually accompanied by feelings of alienation, disconnection, loneliness and even guilt. Physical distress, coupled with psycho-social grief is a poor foundation from which to build a healing force to combat cancer. This entry was posted in Book & Research Report, Medical treatments and tagged chemotherapy, side effects by CA Care. Bookmark the permalink.